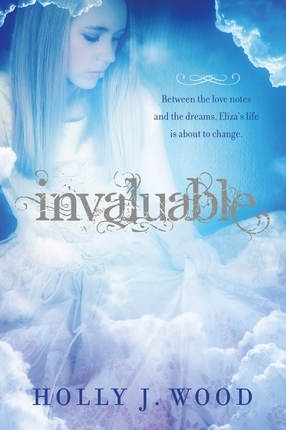 Eliza dreams of her grandmother and learns about each of the young women's values in Invaluable. Each time she learns a valuable lesson, Eliza finds a trinket to remind her of eight values, each in a color that reminds her of it's worth. This jello salad is a rainbow of values. Each layer is developed individually and combine to create a work of art, just like the beautiful woman a girl who obtains each value can become. Empty one package of jello into a medium sized bowl. Boil one cup water in the microwave (about 2 minutes) and add it to the jello. Stir with a fork until dissolved. Divide jello mixture equally into two paper cups. To one cup add 2 T of cold water, to the other add 2 T of vanilla yogurt. Repeat with each color, allowing them all to sit out at room temperature (if any of the jello begins to set up before you want it to, simply microwave it for 10 seconds). This took me about an hour to do. Begin molding the jello by pouring a clear color into a deep pan or a large bundt pan. Allow to set in the refrigerator for about 15 minutes until the jello is set and sticky but not solid. Ladle the clouded jello on top of the clear. As the bowl and jellos cool, the setting time will decrease. Keep in mind that the color you use first will end up on the top of the finished product and the color you use last will be on the bottom. Repeat with each color until all of the layers are set. Chill the final dish for 3 hours or overnight. To remove from the mold, fill a sink with warm water and carefully lower the bottom of the mold into the water (don't get water on the jello). Turn the jello over onto a platter. Serve with whipped cream and sprinkles if desired. Help Wanted. Sixteen-year-old girl seeks advice on how to reach out to a sister who has become distant; how to make up with my best friend, who spends every moment with her new boyfriend; how to avoid losing my job over working on Sundays; and how to figure out who has been putting love notes in my locker. Applicants are also required to provide advice on how to handle being head-over-heels for my prom date's best friend--who happens to be the hottest guy in school. Sound like a tall order? Well that is what Eliza Morre is up against during her sophomore year of high school. But when her great-grandmother begins visiting Eliza in her dreams, everything starts to change. These dreams take Eliza back in time to see extraordinary women who help teach her about eight important values. As ELiza learns more about these women and the values they lived by, she discovers the courage and confidence she needs to faceher challenges-and her secret admirer. Invaluable has a more limited readership than some of the books I recommend, due to its target audience of Latter-Day Saint young women. The reason why I am recommending it to all readers is because I feel strongly about the values that are taught in the book, namely, faith, divine nature, individual worth, knowledge, choice and accountability, good work, integrity, and virtue. Wouldn't you love for every young woman in your life to understand and value those attributes? I have to let you in on a surprising coincidence. One of my dear friends told me her sister-in-law was writing a book and asked if I would be willing to review it when it was published. Of course I agreed and when Holly mailed the book to me, I was thrilled to find out that she lives not only in the same town that I'll be moving to in a few months, but she will be just down the street from me. I'm excited to be neighbors with another bookie! Having said that, I want to assure you that my reviews are impartial. I will always tell you what I liked/disliked about the books that I read. I hope that Holly will be thick skinned and understand why I lump the bad with the good, especially since I hope that we will be great friends. My favorite books have a moral or teach a lesson and Invaluable does just that. t takes the young women values and teaches them through examples of women in the scriptures and also through the eyes of a teen. At times the teaching was a bit "preachy" for my tastes--especially when Eliza began spouting speeches that sounded like they were right out of a teacher's manual. But once I accepted the style, I found myself learning so much about the values. I'm not sure I've ever really understood exactly what virtue or integrity are. I've always used them interchangeably. Now I can understand the difference. I love Eliza's voice. The best parts of the book are the high school scenes when she is struggling with who she should be with or what is nagging her best friend. I have to admit that during the night dreaming lessons I couldn't wait to get back to the "real" story. I was glad to see that later lessons were condensed in a way that I was spared too many details about each of the eight visitations, but still experienced the wonder and value of what was being taught. For each value learned, Eliza finds a token to match--for instance, a white mustard seed for the value of faith. This is a nice touch and I loved hunting through each day with Eliza for the token. The relationship between Eliza and her sister is strained and she is able to help her. I love this idea of sisterhood and the way the girls become friends again. I do wish it had been a bit more subtle--it felt like somehow Eliza's sister was magically cured of rebellion and therefore it didn't quite seem real. The story flows naturally and is an effortless read. I found myself wanting to find out what would happen with both the love triangle and the dreamed lessons. Invaluable has the best of both worlds--the fun of romance with the values a girl needs to survive the dating years. From the beginning I found myself dying to know why Juliette is so broken and what will happen to her. The premise of a girl whom know one can touch works out perfectly for a forbidden romance. The fact that Adam is the only person who can touch Juliette is a mystery that propels a reader throughout the book. I felt Juliette's emotional pain and when Adam came on the scene I was routing for the inevitability of them falling in love. Adam would do anything for Juliette and as the story unfolds I see more of his character. The more I see the more I like Adam. The world they live in feels a bit uncreative to me--a world where birds can't fly because of pollution and vegetation is weakened. It's not a huge deal, because the premise was original enough to carry the entire book. Warner is a chilling villain--relatable and yet evil. I love villains that are humanized and make me wonder if I would be the same way in an extreme situation. Warner is a mirror of Juliette and what she could be if she gives into selfishness and revenge. Warner's vulnerabilities are exactly what draw him to Juliette and I am hoping that she will be his undoing. At first I enjoyed the romance scenes because of her need for human touch. I have to admit that after awhile I got sick of hearing how effected Juliette was by Adam's touch. The romance didn't go to far for my tastes, but the fact that the characters obviously wanted things to go to far and were always interrupted are grounds for me to recommend this only to older teens. The last few chapters were disappointing for me. I don't like spoilers so I'll let you decide. But it felt too much like other stories I've seen or read and I was hoping for so much more. You bet I'll be reading the sequel (slated for print in 2012) though. There are a few inexplicable things that Juliette can do that make me excited to find out why she can. 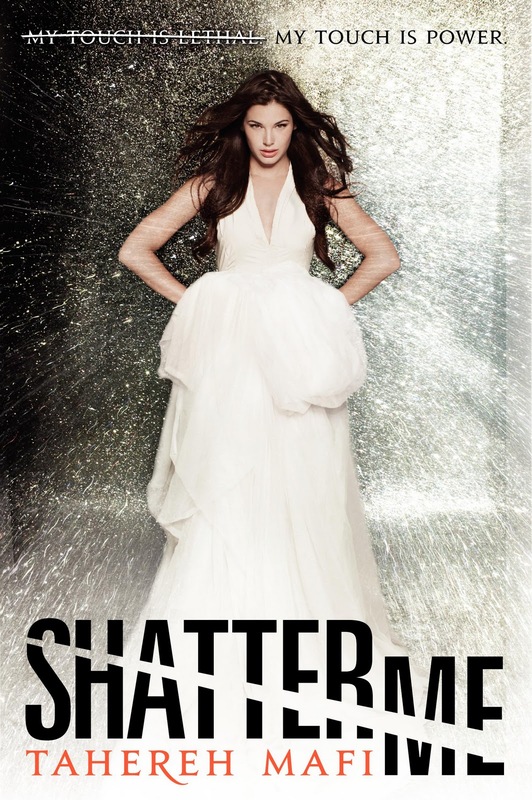 Shatter Me is a tale of fragmented emotions and hope--that the world can always become a better place. Juliette is emotionally broken and knows that because of her lethal touch she can never live like those around her. She can't see that the future holds sweetness for her, just like this toffe and chocolate candy. Caramel Crack is brittle like Juliette's life but so sweet and addicting. The crunchy texture and the broken way the treat is served complements the many references in Shatter Me to breaking and shattering. Preheat the oven to 400'. Line a jelly roll size pan with parchment paper (foil will do in a pinch but it will stick). Layer the crackers on the bottom of the pan. In a saucepan over medium heat(no hotter!) bring the butter and sugar to a rolling boil. Let boil for 7 minutes. Remove from heat and stir in the salt and vanilla. Drizzle the sugar mixture over the crackers (no need to spread it out). Cook in the oven for 5 minutes. Cool the candy for a few minutes and then sprinkle the chocolate chips over top. Wait until the chocolate melts and then spread it over the caramel with a spatula. Refrigerate the candy for a few hours. Crack into pieces. Store in an airtight container for up to a week. The 2011 Book Blogger's Cookbook for free--two days only! 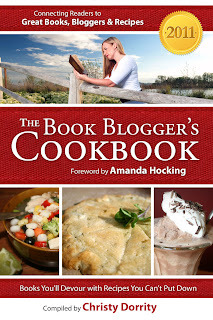 For the next two days The 2011 Book Blogger's Cookbook will be free. Purchase the cookbook, regularly priced at a low $2.99 between now and Saturday and receive it for free. Please spread the word to those whom you know would enjoy this unique cookbook filled with tasty reads and adventurous eats! With reviews and recipes for books by Aprilynne Pike, Maggie Steifvater, Lauren Oliver, and more, you'll love this fun and helpful resource. Read The 2011 Book Blogger's Cookbook for free! 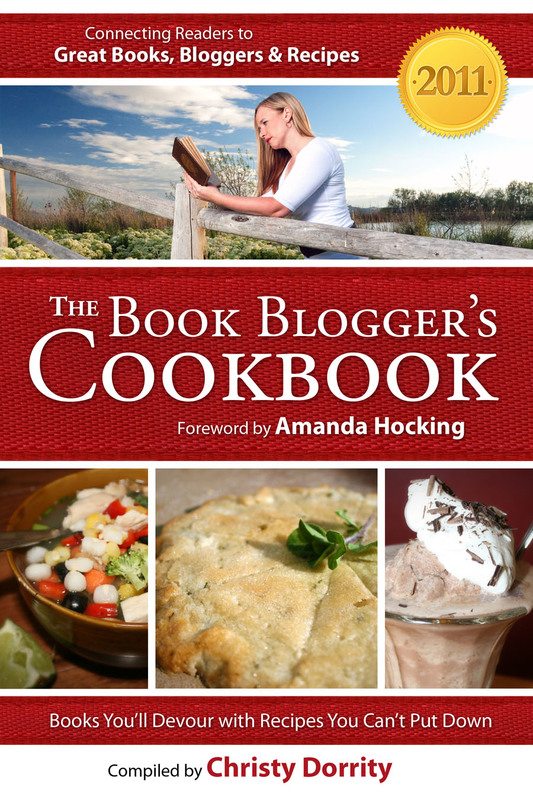 Now you can read The 2011 Book Blogger's Cookbook for free! If you have been thinking about purchasing this fun and unique cookbook, now's your chance to take a peek and see if you like it. Not only that, but between December 15th and December 17th you can download the cookbook for free for your viewing pleasure forever! Click here to download it to your Kindle now! Nightingale by David Farland is now out as an app for the iPad. 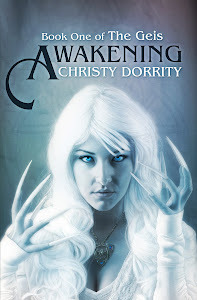 I've had a chance to preview this enhanced ebook and it is fabulous! The comic style art, soundtrack and internal links combine to make an experience like none I've yet to see. You can also purchase it through Amazon here. All that separates you from this prize is a 500-word essay about a short story in Book Wish Foundation's new anthology, What You Wish For. Essays are due Feb. 1, 2012 and winners will be announced around Mar. 1, 2012. If you win, you will have six months to submit the first 50 pages of your manuscript for critique (which means you can enter the contest even if you haven't finished, or started, your manuscript). You can even enter multiple times, with essays about more than one of the contest stories, for a chance to win up to six critiques. In the Forests of the Night is the second book in the Goblin Wars series. I am very much enjoying this series by Kersten Hamilton, the first of which is Tyger Tyger. Based on Celtic folklore, with characters that jump off the page, this book will keep you interested to the last word. And tiger eyes? Wicked (I wonder if I can get some tiger eye contacts?)! 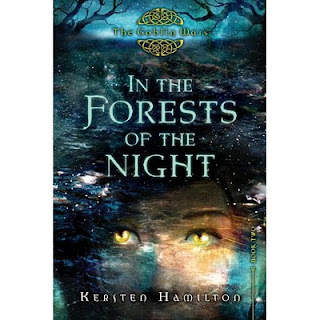 I love the ties to Celtic mythology and how Hamilton weaves established myths with her own imaginings. Goblins and fairies and sidhe are recreated in a new light. Teagan's progression is the series is interesting to follow. I'm not certain I understand what her character arc is for the entire story, but I'm glad to see her growing and changing. Her struggle to be herself despite her genetics and other's expectations is relatable. Abby is such a fun and spunky character--I never know what she is going to say or do and she adds a chaotic flair to the story. I feel at home with Tea's family. They merge the strange with reality and I think everyone's family is that way to a certain extent--normal but a bit off. We wonder what people would think if they really knew us and our own quirky family. I'm thinking there are going to be some big conflicts and emotional trials for Teagan and Finn to face in the last book--I hope so. I highly recommend this romantic adventure. A prehistoric adventure, this is the third of the Zan-Gah young adult books. When Dael, guilty and tormented, came to live with the tribe of the painted people, he longed for peace and restoration; but without knowing it, he made a powerful enemy. Luckily, Dael had friends-including a troop of crows-and his own mystical powers. The disturbed and violent hero learns from the Children of the Earth, and from his submissive wife, a new way of life that is peaceful and generous. Dael and the Painted People is a story of conflict, healing, hate, and love by the winner of the Eric Hoffer Award, a finalist for the ForeWord magazine Book of the Year Award, and the Mom's Choice Gold Seal for Excellence in a family-friendly book series. I don't know what it is about the Zan-Gah novels that captivate me. I mean, a middle-grade prehistoric novel? It doesn't sound like something I would enjoy. And yet, I find the characters real, the settings and survival lifestyle fascinating and the themes timeless. I first read Zan-Gah in July of 2010. The prehistoric characters in the series have deep feelings and although the time period is far removed from the present, readers will find themselves empathizing with Dael and his family. The painted people are peaceful and are so connected to the red earth that they cover themselves with the crimson dust. Angry and regretful, Dael happens onto this new race of people with his subservient wife, Sparrow. 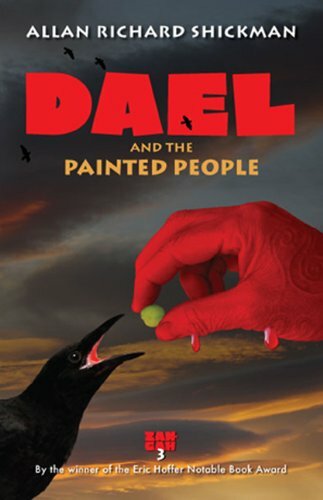 The acceptance and love of the painted people is like a healing balm to Dael's scarred soul. Even Sparrow flourishes among their new people, finding that she can speak for the first time. When Sparrow gives birth to a child, Dael feels as if he has a new start in life. What Dael doesn't know is that because of his affinity with wolves and crows, he has made an enemy of Shur, the local medicine man. Dael is a conflicting character who dynamically changes for the better as he goes through internal and external struggles. Readers will be happy to see the changes that transform Dael. Shickman has a smooth writing style and balances description and action with finesse. I find myself wanting to adventure with Dael to a land of striking beauty and dangerous survival.